Apple cider vinegar (ACV) might officially be intended to just make salads tastier, but it has myriad secret abilities that never cease to impress. Health blogs and DIY aficionados love to hail the liquid as a perfect substitute for more expensive – and potentially more harmful – chemical products. Most people know about at least a few of ACV's alternative uses. Do you think you know them all? Here's just a few examples of what it can do for your health. Reader's Digest identifies ACV not only as an antibiotic of sorts, capable of controlling diarrhea caused by bacterial stomach infections, but also as a remedy for spasms in the digestive system due to the pectin it contains. WebMD refers to pectin as a fiber which is commonly found in fruit and is used as a "thickening agent in cooking and baking." Dr. Mercola also suggests taking ACV as a means to restoring some acidity to your stomach, which will help avoid acid reflux. For all of these purposes, simply add a tablespoon of apple cider vinegar to a glass of water and drink up. ACV can do wonders for your health — in both small and major ways. Reader's Digest recommends mixing equal parts vinegar (get here) and water and gargling the mixture for a few seconds in order to get rid of a sore throat. A teaspoon of the product in a glass of water can also clear up your sinuses thanks to its potassium and acetic acid, so you can be free of that cold that just won't go away. That method will also boost your energy, thanks to those same ingredients. Surprisingly, apple cider vinegar can also get rid of hiccups: Teenage inventor Mallory Kievman rose to fame with Hiccupops, her patented lollipops made from apple cider vinegar and sugar. The taste of ACV essentially overwhelms the throat's nerves into forgetting about hiccups. Dr. Mercola refers to ACV as being capable of "increasing satiety" — essentially, making you less hungry. According to Mercola's blog, studies found people who had vinegar with their meal tended to eat less for the rest of the day. Reader's Digest adds that ACV might help prevent calories from entering your bloodstream. Gargling diluted ACV can help kill bacteria and give you better breath, Reader's Digest reports. In addition, that process will aid with whitening your teeth and getting rid of stains — though it shouldn't serve as a replacement for brushing your teeth. Interested in apple cider vinegar? Available for purchase here. 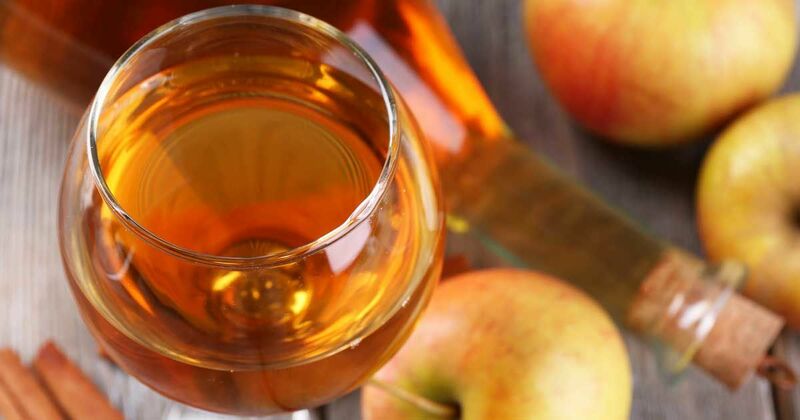 These are just a few of the many benefits of apple cider vinegar for your health. Have you heard of any others? Let us know in the comments section and make sure to share with your friends.